What does Amazon have that others don't? One answer: customer service. That's according to a recent survey of 6,000 consumers by customer-experience research firm, The Temkin Group. The online retail giant is apparently blowing away its competition when it comes to keeping people happy and feeling well cared-for. Sign in to Amazon.com and what do you see, right off the bat? Personalized recommendations. Everything you look at, everything that you buy: it all feeds an algorithm that makes Amazon's front page perform as a kind of personalized shopping assistant. Now and then these recommendations are going to translate into sales, but every time a customer sees them they suggest a personal customer-service positive. Whether you're an Amazon Prime user, with one-click two-day free shipping, or a non-subscriber to the site's premium service, once your payment and delivery data is in the site's system, getting your goods is — most of the time — just a single orange-button-press away. Not only does that kind of simplicity feel like good customer service, it adds up to more frequent impulse purchases (you're not stopping to reconsider the sale at every credit-card/shopping-cart junction), and that's good business. Amazon gets your stuff to you faster than the predicted delivery date. The company coordinates its in-house managed deliveries in ways that take advantage of local distributors, even freelance couriers, and that means packages often move more quickly than suggested by its online delivery information. Happy recipients equate the experience with excellent customer service, and, according to Andy Hanselman, that's a recipe for repeat business. Writing to the top might seem like a fruitless endeavor, but when one snarky customer emailed Amazon CEO Jeffrey Bezos directly, the results were a refreshing surprise. The Consumerist captures the story, which ends with Bezos offering a personalized response through the company's customer service office. It's the kind of tale that gets posted on consumer websites, and it's the kind of word-of-mouth that helps ensure Amazon's spot at the top of lists like Temkin's. On the other hand, every company is still on a learning curve when it comes to customer service. 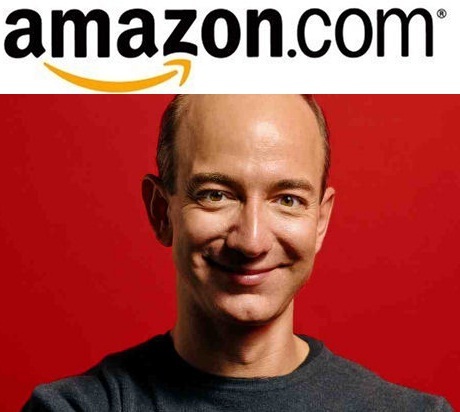 Even Amazon has its arc to travel, when it comes to online business savvy. Note this apparent gap in its social-media strategy, as blogged at ComMarketing.com in April 2011. For all the good experiences buyers might have when a site is working perfectly, an important lesson to learn from Amazon's social media mistake is that businesses should leverage Facebook and Twitter to communicate with customers when the main site is having trouble. Have a customer service lesson of your own to share? Send it along and expand your fellow readers' knowledge. Let us know what you see, when it comes to what you've seen go right — and wrong — with buyer satisfaction on the World Wide Web.